Earn your Open Water certification in one short week at The Scuba Club this summer. The Open Water class teaches you everything you need to know to be a competent and safe scuba diver. 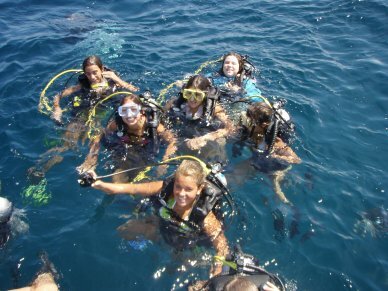 We also offer Scuba Camps for certified divers! Campers can earn their Nitrox certification and dive Nitrox on all dives. Get the paperwork for Scuba Camp here.